20% or FREE POSTAGE - the choice is yours. Collect any four cards, return them to us and choose 20% off or free postage, for your accompanying order. Every AUD$75.00* you spend in one order earns you a Discount Card, AUD$150.00* gets you two, and so on. Spend AUD$300.00* or more in one order and you receive an instant 20% discount or free postage anywhere in the world. 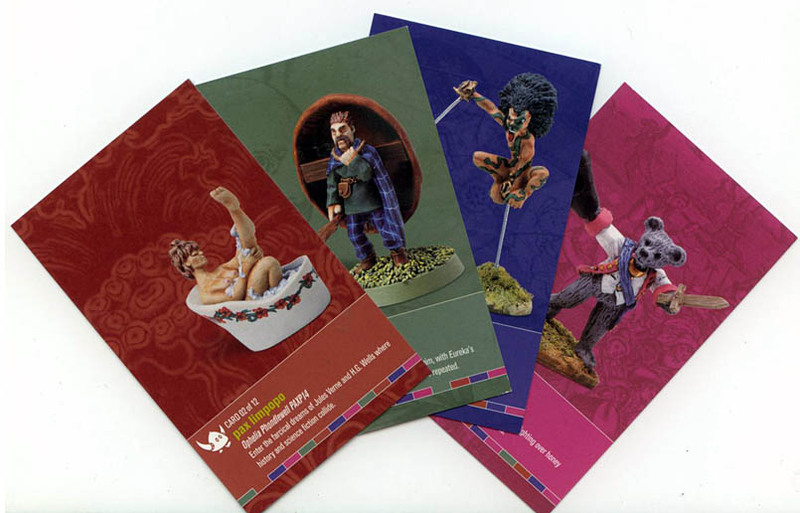 We will include these Discount cards in all orders of AUD$75.00* or more spent on figures. Sorry we cannot discount paint, resin and books. * Australian customers add 10% GST to all these prices.